If you are ready to change, then it's time to let the genie out of the box! It's finally time that you let go of those old problems. We can help you become the best version of you! It's Time To Let Go Of Anxiety! Live a calm and relaxed life. Call Us and We Will Get You There! Past Life Regression is a branch of hypnotherapy. Past life memories are your eternal soul's autobiography. They are your personal stories that explain your journey to becoming who you are today and what you are here to accomplish. Isn't it about time that you found out? IBS Symptoms - A Thing Of The Past! It's true! 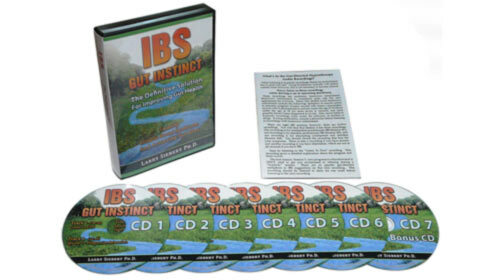 Clinical Studies show that 70% to 90% of people reduce or eliminate their IBS symptoms with this type of program. Check out Dr. Siebert's book on IBS! Your emotional fulfillment defines the quality of your personal relationships. No matter where you are in your current relationship, a lasting passionate relationship is within your reach. Welcome to the Larry Siebert Company Website! Are you ready to transform your life and finally get on the personal or professional path you have dreamed about? You will be taken on a journey of discovery as our powerful techniques allow you to arrive at your successful future. Think of The Larry Siebert Company as your private “tour guide” company. Your “tour guide” allows you to be more comfortable during your trip so that you can enjoy the ride all through your personal and professional life. The American Medical Association (AMA) has officially recognized hypnosis as a beneficial treatment for over 40 years. In Volume 7, Number 1 of Psychotherapy magazine, Alfred A. Barrios, Ph.D. published some interesting findings of various techniques. To put it simply, Dr. Siebert will help you to become the best version of you possible! And how are you going to do that? Well, it all starts with a thought, that is, how you think and working with the unconscious mind to perceive situations and people from a more beneficial perspective. If you think about it, you will go to a hypnotherapist for 1 of 4 reasons. 4) You just want to improve some area of your life. WHAT WE'RE REALLY GOOD AT! Dr. Siebert has been in private practice since 1996. A majority of his clients see him to resolve some form of anxiety (as well as fears, worries, and phobias). 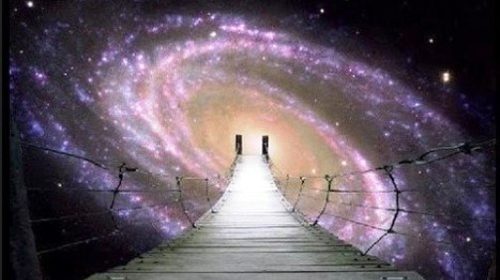 Some clients are interested in Past Life Regression. Other clients see him to reduce or eliminate their IBS symptoms. Many clients come to either improve their relationship with their significant other, or to find their soul mate. Dr. Siebert also has breakthrough coaching programs to help you achieve your personal and professional goals. Finally, Larry sees clients for habit removal (nail biting, smoking, etc. ), weight loss, and sports performance improvement. IBS ebook and physical now available at Amazon. To get either the ebook or the physical book, click on the button below. My new website is up and running!! The Larry Siebert Company is all about helping you become the best version of yourself. Don't you deserve to live a happy and fulfilling life? We can help you do just that! So just give us a call to Get Started NOW! Welcome to our brand new and completely updated website. We are now website, smartphone, and tablet friendly!! Copyright © 2014. The Larry Siebert Company. All Rights Reserved.